It's A Brighter Future For Every Cebuanos, Switch Now To Sun LTE! Everybody wants positivity in life, and I mean in everything. Even in our daily struggles, we always want to stay at the brighter side. I, personally, want to share this positivity with my officemates and friends by sharing some good stuff to them like food, services, and even a bright big smile. Then, I heard this good news from my forever "sim-buddy" Sun Cellular's "Gumaganda ang araw mo!" This keeps me wondering what's Sun's brighter future is in store for me and for you? 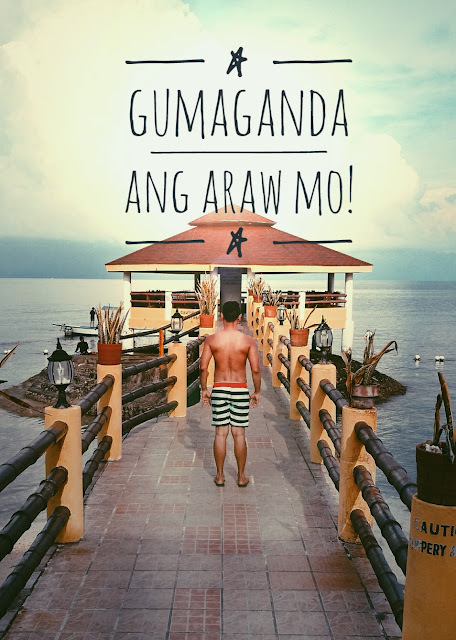 Cebu Blogger, Mark Monta in Moalboal Beach while enjoying a brighter day with Sun LTE. I've been using Sun Sim for almost a decade already. Since I got my new smartphone way back in my college years, my one and only choice back then was a Sun sim. Imagine how old my Sim Card is? Okay, don't ask my age but yeah, very old - the sim card! But guess what? Sun is not just for talk and text, it's up for a brighter service! Starting tomorrow, Cebuanos can now enjoy online activities 24/7 with Sun's newest and widest LTE network. With Sun's upgraded LTE or Long Term Evolution, the international standard for high-speed mobile communication, subscribers would enjoy a much better mobile experience. Why switch to Sun LTE? You read it right! If you got old 3G SIM, rush now to nearest Sun Shop and grab a new LTE-ready SIM for free. Very easy and hassle free! Sun subscribers can make the most of Sun’s LTE network by upgrading to a Sun LTE-ready SIM and an LTE-capable device. 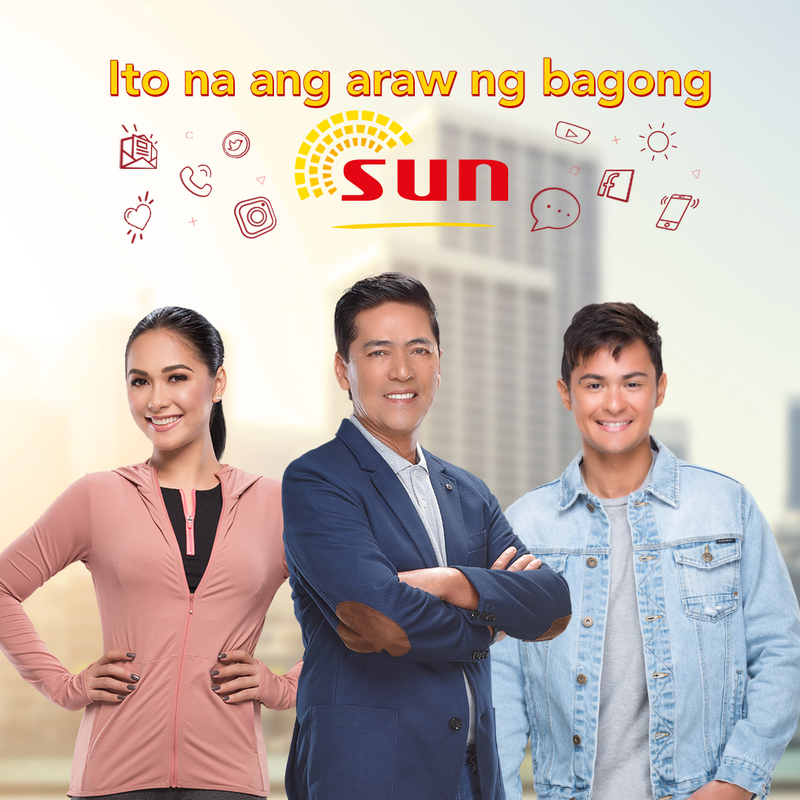 To assist customers to upgrade to the Sun LTE experience, Sun Prepaid subscribers may go to any Sun Shop nationwide to swap their old Sun Prepaid 3G SIM with a FREE LTE-ready SIM – without having to change their existing Sun number. On the other hand, Sun shall facilitate the LTE upgrade of its postpaid subscribers within the month. 3. Affordable at PHP 35. 4. New Data Offers are up to enjoy. Sun’s enhanced network capacity and coverage also come with new data offers that allow subscribers to make the most of the LTE experience, such as Sun Big Time Data 70, which comes with 1GB data, unlimited texts to all networks, and 30 minutes of calls to Sun, valid for 7 days for only Php70. To register, Sun Prepaid subscribers may simply text BDATA70 to 247. 5. Sun’s LTE upgrade is part of PLDT Group’s ongoing network improvement. Sun’s LTE upgrade is part of PLDT Group’s ongoing network improvement efforts, which includes the integration of the Smart and Sun mobile networks to provide subscribers of both brands. As a result, Sun subscribers can now enjoy wider and more reliable coverage for calls, texts, and mobile data. The PLDT Group has finished its LTE rollout in Metro Davao, Metro Cebu, Boracay, and Rizal, while it is currently ongoing in Metro Manila. With this good news, you can always see me liking and commenting photos of my fave travel and lifestyle friends in Instagram You can always visit Sun Cellular's Facebook for more details about this awesome offerings. Follow me on Instagram for more brighter stuff from my Travels!